Four are in the competition to replace the prolific Luke Falk at quarterback. Coach Mike Leach would like to make his pick about 10 days before the season opener Sept. 1 at Wyoming. Who will emerge as the starting quarterback? With Luke Falk, the all-time leading passer in the Pac-12, having graduated, that is undoubtedly the biggest question for the Washington State football team as it begins training camp Friday. 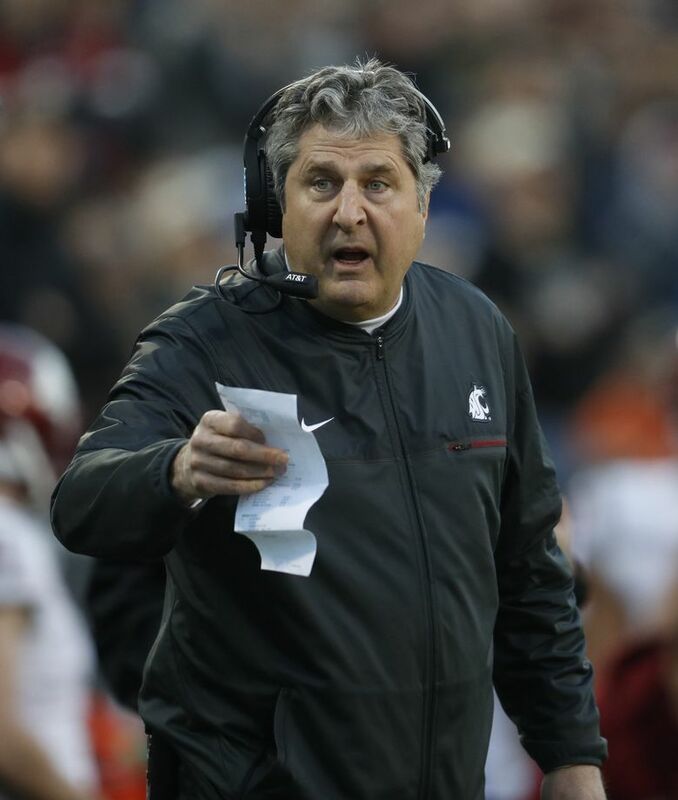 Predictably, the first several questions coach Mike Leach answered Thursday in a conference call were on that subject. “(The depth chart) is pretty deep, and that is where the finesse comes in,” Leach said. Leach praised junior quarterback Trey Tinsley, who played with the first unit during spring camp, saying “he did a great job in the spring, and probably did better than I expected.” But Leach also praised junior Anthony Gordon and freshman Cammon Cooper (“arguably the biggest eventual talent of the group”) for their play during the spring, and he also had good things to say about graduate transfer Gardner Minshew. Four contenders, just one starting job. Leach said he would like to have a starter several days before the team opens its season Sept. 1 at Wyoming. Gardner threw for 2,140 yards and 16 touchdowns last season at East Carolina. Leach was asked how hard is it for a newcomer like Minshew to learn the offense in just four weeks of camp. Leach said he doubts the quarterbacks will get equal reps, but he said all four will get opportunities. “We’ ll look at all four and then we’ll try to channel it to the top two as quickly as we can and then go from there,” Leach said. Leach said if he ran college football, there would be no offseason for coaches. After practicing Friday at Pullman, the team will spend the next week in Lewiston, Idaho, practicing each day from Sunday through Thursday.